Abraham Govaerts – Mauritshuis 45. 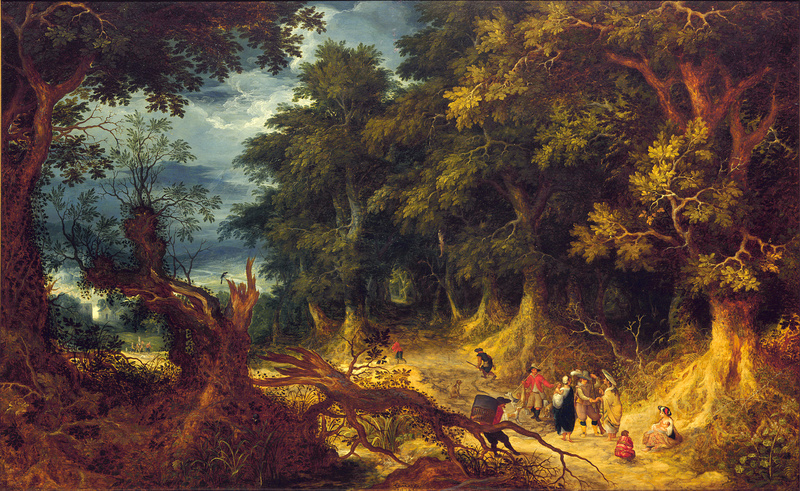 Title: Wooded Landscape with Gipsy Women. Date: 1612. Materials: oil on panel. Dimensions: 62.5 x 101 cm. Inscriptions: AGOVAERTS / .1.6.12. Nr. : 45. Source: https://www.mauritshuis.nl/en/explore/the-collection/artworks/wooded-landscape-with-gipsy-women-45/#. I have changed the light and contrast of the original photo.